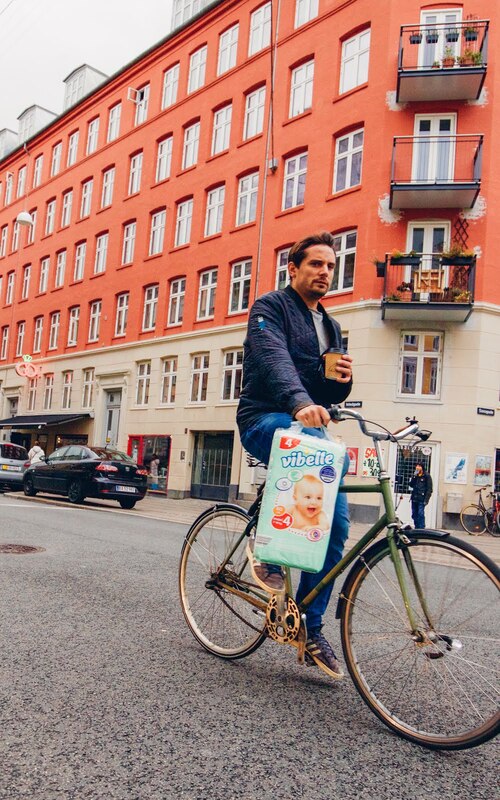 This modern man prioritizes diapers and coffee, nice. 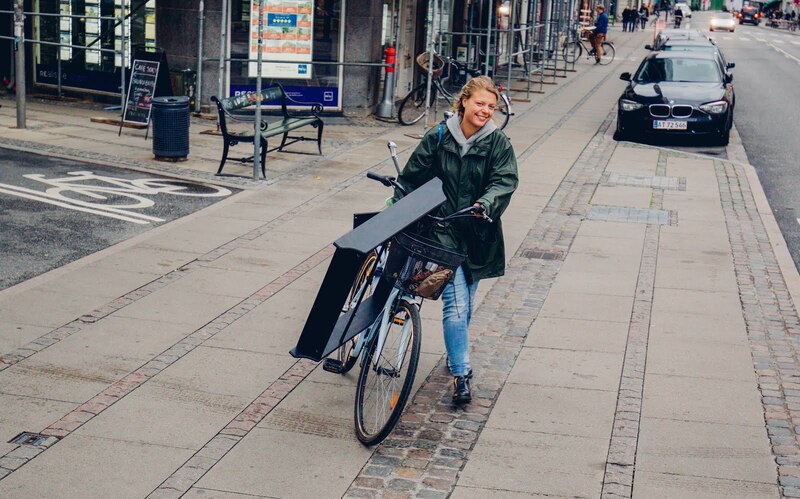 She prioritizes furniture journeys and friendliness. 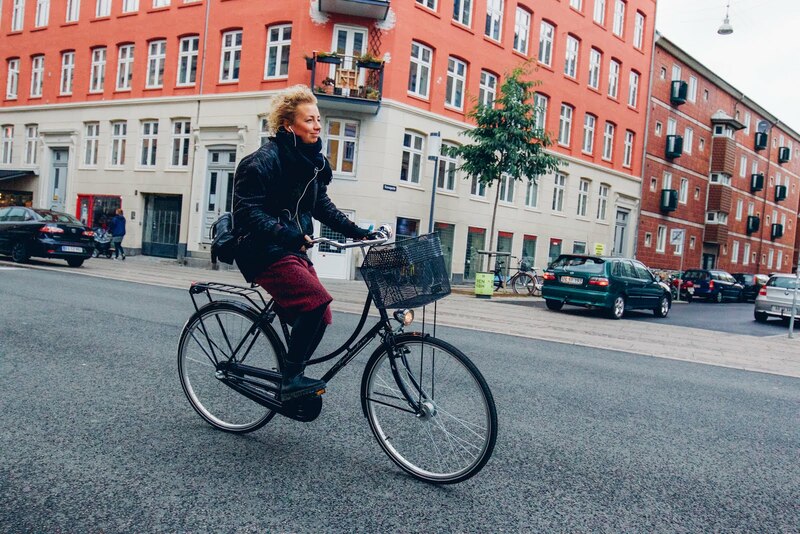 Happy cruising and music are important priorities too. 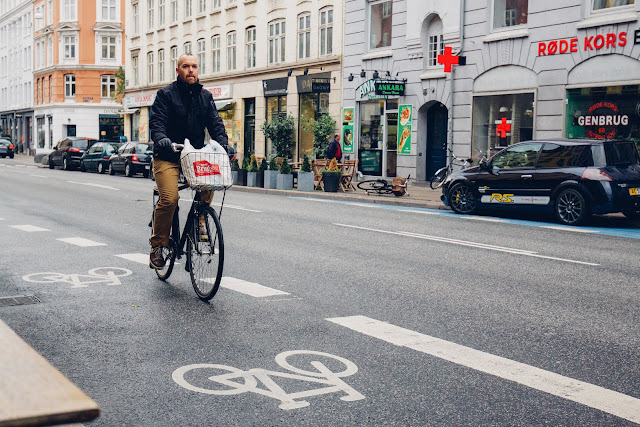 Sundays like this in Copenhagen are about priorities on the bicycle. It's not easy waking up after a long week to cold, autumn mornings in Scandinavia, but being able to ride your bicycle in style to all your Sunday necessities is an advantage. The following are bits you can only witness in this amazing Nordic city.